For my nephew Cody’s high school graduation gift, I flew him to London for two days of eating (and sightseeing) then on to Scotland to spend time with his grandfather (my dad). 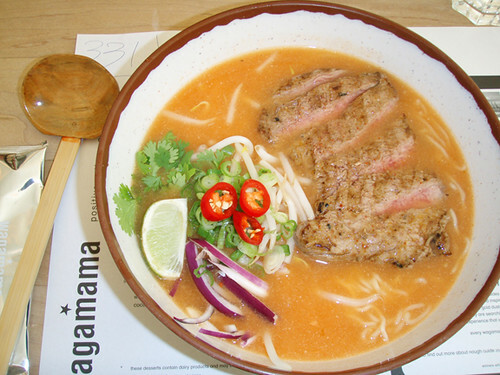 Photos of our lunch at Wagamama in Camden Town, London. 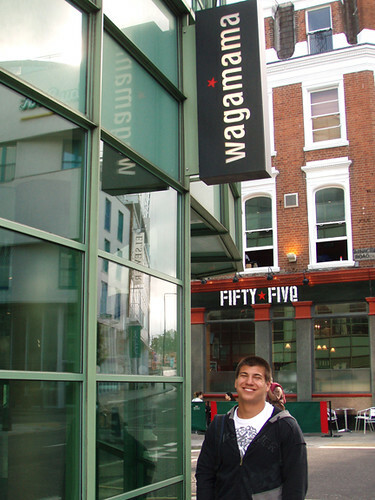 What does Wagamama mean? Translated from japanese it means ‘willful / naughty child’. Thank you for sharing this link via twitter! I LOVE Wagamama! I wish they would open in LA!